The 89th Geneva International Motor Show is scheduled to take place in March this year. It is here that Aston Martin will be showcasing its almost production ready Lagonda all-terrain SUV concept. It will be the first to carry the Lagonda brand name that has been revived by Aston Martin and is dubbed as world's first luxury zero emission brand. The British luxury carmaker mentions that the Lagonda all-terrain SUV will be launched in production form in 2021 and will be built at the company's Saint Athan plant in Wales. This is the same facility where the upcoming Aston Martin DBX SUV will be manufactured. The Lagonda all-terrain concept will be based on the Lagonda Vision Concept that was showcased at last year's Geneva Show. 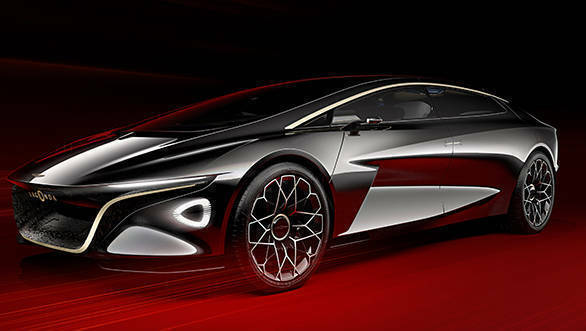 In an official release, Aston Martin mentions, "By taking full advantage of its zero-emission platform, Lagonda's design team has created a car boasting extraordinary style and space efficiency combined with a rakish design language that demonstrates the unique freedom afforded by Lagonda's commitment to zero-emission powertrain technologies." Aston Martin has not mentioned details on the specifications and dimensions. However, it should be a large-sized SUV considering that Aston Martin is targeting the uber luxurious Rolls-Royce Cullinan SUV with the exquisite Lagonda brand. The SUV will be based on the same platform as the Lagonda luxury saloon that was revealed earlier. 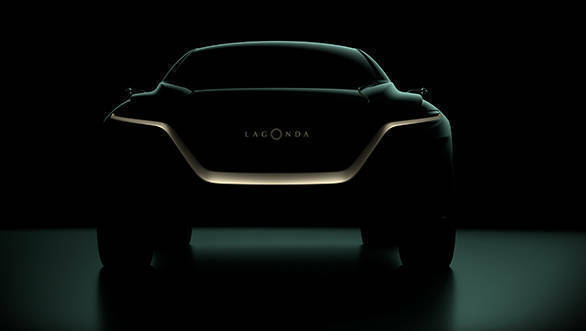 "The Lagonda All-Terrain Concept offers explicit clues regarding what will be the first Lagonda model to enter production, and further demonstrates how Lagonda's zero-emission powertrain enables us to create spectacular cars that will radically redefine their sectors of the market," commented Andy Palmer, Aston Martin Lagonda President and Group CEO.